After three volunteer fire chiefs in China voiced strong disapproval for the Select Board's budget recommendations relating to their departments, the selectmen issued a statement that their concerns were misguided. 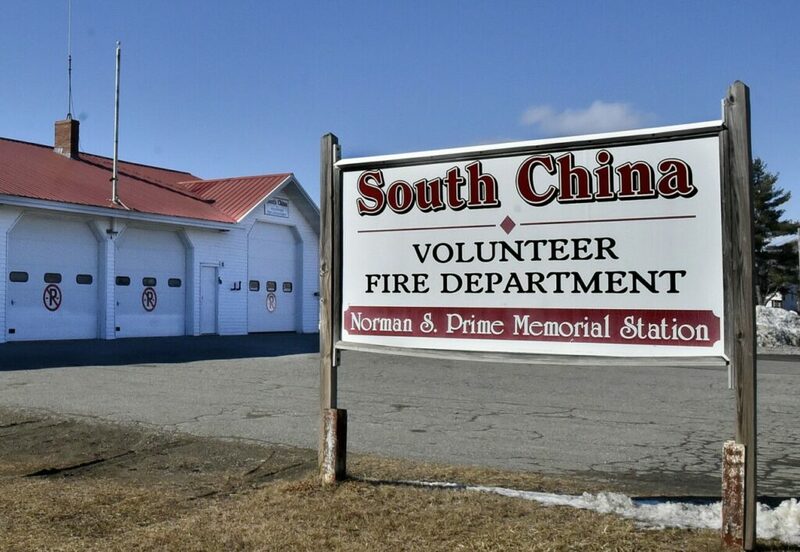 CHINA — Selectmen in China are standing behind their recommendation to decrease volunteer fire department stipends. Town Manager Dennis Heath defended the decision — as well as the board’s requests for more detailed financial information from the departments — in a news release issued on behalf of the selectmen. At a meeting Monday night, no representatives of the fire departments were present. “This is not about ‘reducing VFD operations budget allocations, but about keeping VFDs accountable to taxpayers,” it reads. Tensions mounted at the end of the last week, when the chiefs of China’s three volunteer fire departments wrote an open letter to townspeople expressing strong disapproval of the Select Board and its decisions on the departments’ budgets for the upcoming fiscal year. The letter was published March 13 in the Town Line newspaper. The budget allotments will ultimately be decided by residents at the annual Town Meeting on April 6. Richard Morse, chief of the South China Volunteer Fire Department; William Van Wickler, chief of the Weeks Mills department; and Tim Theriault, chief of the China Village department, co-signed the letter, which called out the board’s “effort to control and dictate to the fire departments how to do business.” Theriault is also a state representative. The chiefs claimed that the Select Board would damage a compensation program that had been helpful in encouraging participation and retention of volunteer firefighters. Since 2017, officers have been paid a flat stipend and firefighters have been paid based on the number of calls they respond to and the hours spent at duty scenes. Morse said three firefighters joined South China’s department since the stipends were introduced, while Van Wickler said two joined Weeks Mills in 2018. “The VFDs … recognize and appreciate that (the stipend program) has become a positive factor and has met its intended goal of increased recruitment, retention and participation,” the letter reads. Selectman Ron Breton said he thought the fire chiefs had been “double dipping” by accepting their flat stipend and compensating themselves for participation as well. This, Breton said, was not how the stipend program was intended to work. 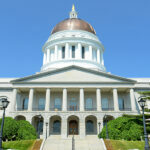 He added that flat rates would help the elected officials keep better track of spending. “Having set numbers for each person allows us to manage the town’s money better,” he said after the fire chiefs’ letter was published. The chiefs had a different understanding of how the allotments were to be distributed. In what Breton called an “insult(ing)” move, the chiefs suggested that the proposed stipend cuts corresponded with raises in pay for the members of the Select Board. While the board recommended raising their own stipends from $1,000 each per year to $1,800 each per year, Breton said the two were unrelated. Breton added that before the board decided to propose increases in its stipends, he requested that Heath research the pay of 16 neighboring towns’ elected officials. “The average among those municipalities of similar size is $1,920 per year,” Heath said. For the upcoming budget year, the board recommended a $22,700 allotment for firefighter stipends, based on flat rates for chiefs, officers and firemen. The departments collectively had requested $33,000, which was supported by the Budget Committee, which has two firefighters on it. In the current fiscal year, $30,000 was approved for that purpose, without flat rates for nonranking firefighters; and in 2017-2018, the first year that stipends were offered, the departments received $40,000 for compensation. Those sums also include stipends for the Rescue Department, which did not report any concerns over the recent budget conversations. The new proposal from Heath was to base a budget on paying each chief $1,000 and two officers — an assistant chief, captain, lieutenant and/or secretary — $500 each, and each additional volunteer $300. Previously, each department was compensated with the intention of distributing money to four officer positions: chiefs, $1,000; assistant chiefs or captains, $500; lieutenants, $250; and secretaries, $250. 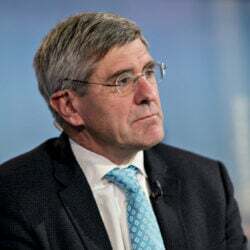 Heath mentioned that stipends are issued in a lump sum distribution at the beginning of the fiscal year, with the expectation that half is paid out in December, and half in June. One department, though Heath declined to specify which one, paid five officers a total of $3,720 at the end of 2018, already a total of $1,720 over the Select Board’s recommendation of $2,000. However, Heath noted that the lump sum technically can be distributed at the departments’ discretion, without regard to the board’s proposed limits, since language in the town warrant, approved by voters, specified only the total amount for stipends, not how they should be distributed. He noted that the board could vote to add language in the warrant that would go before voters to say the stipend money must be spent according to the flat rates it recommends, but the board has not done so yet. In that case, if the article passes, the chiefs would be required to spend the money by those rules. Otherwise, the chiefs could carry on with the current system they use for calculating compensation. The statement Heath issued also addressed concerns over the board requesting information about the departments’ sources of income outside of the town. As the fire departments are independent nonprofit organizations, the chiefs said they think the town does not have a right to know that information and feared it would be used as justification to cut their operating budgets. The news release stated that the quarterly reports the departments give help show how the town’s funds are spent, but that without information about other revenue sources, they do not indicate whether the amount is necessary. As for communication between the bodies, Heath mentioned that the departments “have had a standing invitation with a spot on the Select Board meeting agenda to communicate with the Select Board about their activities” since August 2018. These spots regularly appear on Select Board agendas alongside spaces for the town clerk, police, public works and transfer station representatives to deliver department reports, as well as an organization and committee report from Selectwoman Irene Belanger. The chiefs had noted that with respect to the Select Board’s budget recommendations, they felt blindsided by a top-down decision made without their consultation. Breton previously had noted that he thought it was their responsibility to show up at meetings — which they did not on Monday — though Belanger said that the board could do more in the way of outreach. Van Wickler, Morse and Theriault did not respond to a request for comment before presstime.